Famed Hollywood producer Jeffrey Katzenberg is halfway to his goal of raising $2 billion to invest in the world of short-form, smartphone-friendly video. Famed Hollywood executive Jeffrey Katzenberg is halfway to his goal of raising $2 billion to invest in the world of short-form, smartphone-friendly video. Katzenberg's WndrCo. said on Tuesday it has raised $1 billion from a host of major Hollywood backers that are getting behind NewTV, a company that will launch a new platform for delivering bite-sized content to an audience that is watching more video on the go. Los Angeles-based WndrCo was formed in January 2017 shortly after Katzenberg sold his movie studio DreamWorks Animation to Comcast for $3.8 billion. The company is an investment vehicle backing various digital initiatives including NewTV, which is headed by former Hewlett Packard Enterprise CEO Meg Whitman. Comcast owns NBCUniversal, the parent company of NBC News. 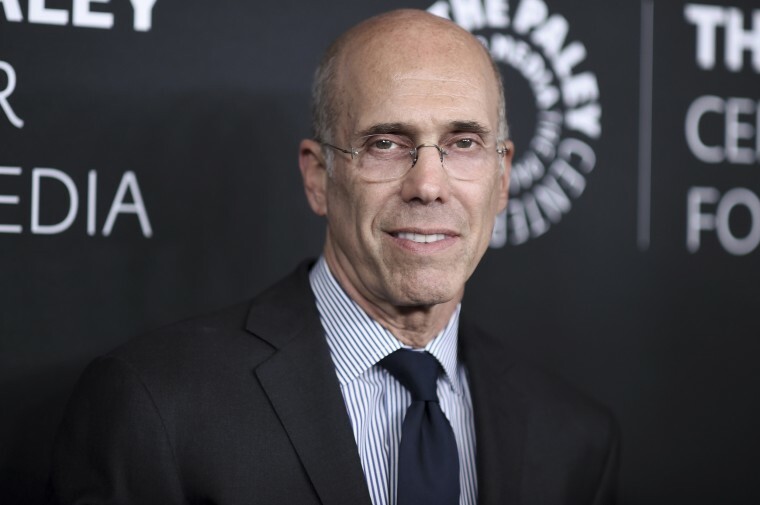 Katzenberg's backers include many of the major Hollywood studios — 21st Century Fox, Disney, Entertainment One, ITV, Lionsgate, Metro Goldwyn Mayer, NBCUniversal, Sony Pictures Entertainment, Viacom and Warner Media — according to a press statement released on Tuesday. The company said its technology partner is Chinese ecommerce giant Alibaba, while other financial and strategic investors include Goldman Sachs, JPMorgan Chase, Liberty Global and Madrone Capital, which led the funding round. Noticeably absent from the list were major tech and telecom companies, many of which have begun investing heavily in original content. In an interview with the New York Times last year, Katzenberg said he needed to raise $2 billion. "That's a high bar," he told the Times. The article reported that Katzenberg, former chairman of Walt Disney Studios, had held conversations about his new company with Apple, CBS, Disney, Spotify, Google and Verizon. Of that group, only Disney was included in Tuesday's announcement. The company is yet to reveal details about its programming, platform or the talent involved in its launch. In pitching the idea at the Cannes Lions advertising festival in 2017, Katzenberg said he wanted to follow a path created by Barry Diller, the founder of IAC/Interactive. At that point, Katzenberg said he had already raised $600 million. “We’d like to find four or five companies over the next five years and build it into the next IAC or the next Liberty Media,” Katzenberg told the audience of advertising executives. Consumers have been steadily watching more video in recent years, a trend noted by research firm eMarkter, which recently projected that people will spend more time watching video on their phones than on TV by 2019. Creating a viable platform for high-quality, short-form video has proved difficult. One of the biggest, Verizon's go90, recently closed despite reportedly spending heavily on content.